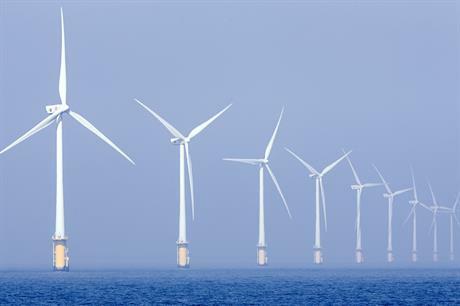 NETHERLANDS: Swedish developer Vattenfall has confirmed it placed a bid for the Hollandse Kust (south) wind project being offered by the government without subsidy. Following the success of the previous Dutch offshore wind tenders for the Borssele I & II and Borssele III & IV sites, and with prices falling rapidly in other markets, in June 2017 the government decided to offer its next lease area to any developer wanting to make a zero-subsidy bid. The zone, split into a southern and a northern project, were forecast to support roughly 350MW each. But one of the criteria for the bids will be judged on includes total project size. Vattenfall said the North Sea "and in particular the Hollandse Kust Zuid site" had good wind conditions. The developer said it can create synergies with its nearby Egmond aan Zee offshore project, which was completed 10km off the Dutch coast in 2006. The new site would also fit in well with Vattenfall's development pipeline, with an expected commissioning date of 2022, the firm said. "We believe that our proposal represents a very solid all-round proposition to meet the Dutch government's needs," said Vattenfall's head of wind Gunnar Groebler. "The country's strong commitment to renewable energy creates a stable regulatory framework. Along with support in terms of providing the substation and grid connection these are very important parts of Vattenfall's decision to bid," he added. The government will accept tender bids from 15-21 December. In 2016, Vattenfall won the Danish offshore projects Vesterhav Syd & Nord and Kriegers Flak at record low bids of €63.80/MWh and €49.90/MWh, respectively. In November, Vattenfall ordered 72 Siemens Gamesa Renewable Energy's new SG 8.0-167 DD turbine to be used at the sites.